at your next conference or event! SolarBuddy’s Conference/Events Program helps foster a global perspective and deliver improved outcomes for children living in energy poverty. The SolarBuddy Program is a great icebreaker for your conference/event that aligns with your corporations, corporate social responsibility (CSR) strategy. The SolarBuddy Conference/Events Program allows organisers to hold a highly engaging activity with their attendees that encourages collaboration, intercultural understanding and creative and critical thinking. SolarBuddy provides solar lights to schools, children and families living in remote areas of the world. The children and families in these communities often do not have electricity in their homes and schools. The SolarBuddy lights are powered by the sun and provide hours of light and that allows them to live and study. We give companies holding conferences or events the opportunity to help illuminate children’s futures. 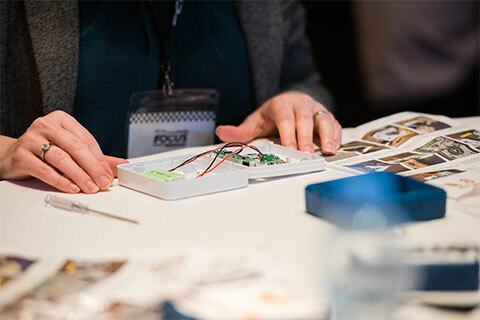 We deliver the unassembled lights to your conference/event and all participants are asked to assemble the lights together in a fun, educational and meaningful activity. The lights take about 20 mins to put together and instructions are supplied with each solar light. Your attendees are educated about the importance of renewable energy and ever-growing negative impact of energy poverty. We will provide your company with detailed instructions on how the SolarBuddy program will run within your conference/event. A SolarBuddy Team member can be onsite to facilitate the program. Both printed and video resources are available to assist in a smooth running of the program on the day. This conference/event program allows companies to be socially aware. It brings attendees together and helps reinforce the values and vision and contributes to the overall culture. The program allows your attendees to engage and really make a difference. They will be able to write and attach personal messages to the children and families who will receive their light. They will know that their light will illuminate the life of a child in a remote area and will make a big positive change. The Conference/Event Program can also be set up as an assembly station as part of an exhibition or during catering breaks. Attendees, at their leisure, can go to the station and put a light together, write a letter to the child experiencing energy poverty and learn about how their contribution is making a difference. The program is so versatile that it has even been conducted in a park environment. The program is held at your conference/event. An information pack will be delivered with your lights and if requested a SolarBuddy team member can be present to assist in the running of your program. After the lights have been delivered to a country affected by energy poverty, we will send you images of the children receiving the lights and the personal letters your team have written to the children and families. The program is available all year round and can be arranged for the day of your conference/event. It is a great program when used as a bonding activity or as an ice-breaker activity. We are looking for continued annual support from companies so that we can reach our target of illuminating the lives of more than 6 million children. Signing up for the program is really easy! Click on the link below, making sure to complete all the information required. Lights are available in multiples of 50, at $50 per light. For orders over 500 lights, we can add your company logo for free. For orders less than 500 lights a cost of $275 applies..
SolarBuddy.org is a registered charity and your contribution is tax deductible. Confirmation of your order will be emailed to you along with an information pack, outlining when you should expect to receive your lights and a resource pack. An email will be sent to you once your SolarBuddy lights have left our warehouse. You will be able to track your lights so you know when to expect them. If you require a priority order, please contact us directly and we will try our best to accommodate your needs. It is essential that you order your lights 6 weeks before you would like to run your corporate program. When you have completed the Conference/Events Program and your lights are ready for collection please fill out the Request Collection form and we will arrange a courier to pick them up. HOW DO YOU KNOW YOUR LIGHTS HAVE BEEN DELIVERED TO A DEVELOPING COUNTRY? After we have delivered the SolarBuddy lights made by your company we will send a report with images of the children receiving the lights and the personal letters your team have written and information about the area the lights were delivered to. We look forward to helping you illuminate children’s lives.